There are certain juggernauts of the holiday performing arts world: the Mannheim Steamrollers, the Trans-Siberian Orchestras, the Very Die Hard Christmases, and the…Hip Hop Nutcrackers? Yes, sugarplum fairies and hip-hop have married and sired a long-running holiday extravanganza. The New York Times‘ A.C. Lee called the result “A generous dose of contemporary spirit sure to heat up even the most restless and wintry of souls.” True winter may not have hit the Twin Cities yet, but there’s been enough snow to make this sort of stage fire exactly what the doctor order. If you want to fill this prescription, head down to St. Paul’s Ordway Center for the Performing Arts on November 20 or November 21 to catch the national tour of The Hip Hop Nutcracker. Read Basil Considine’s review of the 2016 tour of The Hip Hop Nutcracker. 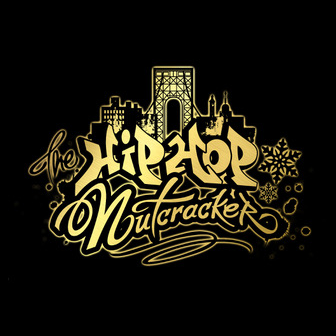 The Hip Hop Nutcracker was adapted from Tchaikovsky’s classic ballet by Mike Fitelson, the Executive Director of NYC’s United Palace of Cultural Arts. Stir in hip-hop dance, a DJ, a star pre-show rapper/MC, and twelve powerhouse dancers, then fold in direction and stirring choreography by Jennifer Weber of Decadencetheatre. Also, an electric violin. The Hip Hop Nutcracker plays at the Ordway Center for the Performing Arts in St. Paul, MN from November 20-21, 2018. A holiday mash-up for the whole family, The Hip Hop Nutcracker re-imagines Tchaikovsky’s classic score through explosive hip hop choreography. A dozen all-star dancers, on-stage DJ, and an electric violinist bring the traditional Nutcracker story to life in contemporary New York City. This evening-length show celebrates love, community and the magic of the holiday season.